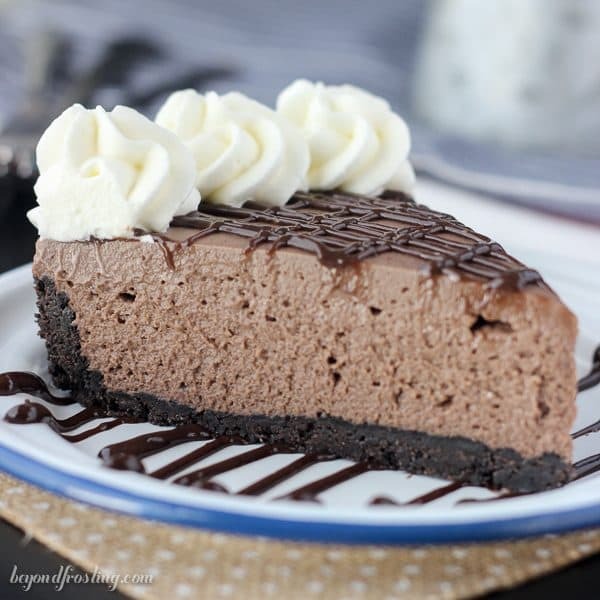 No-Bake Brownie Batter Cheesecake - Chocolate Chocolate and More! 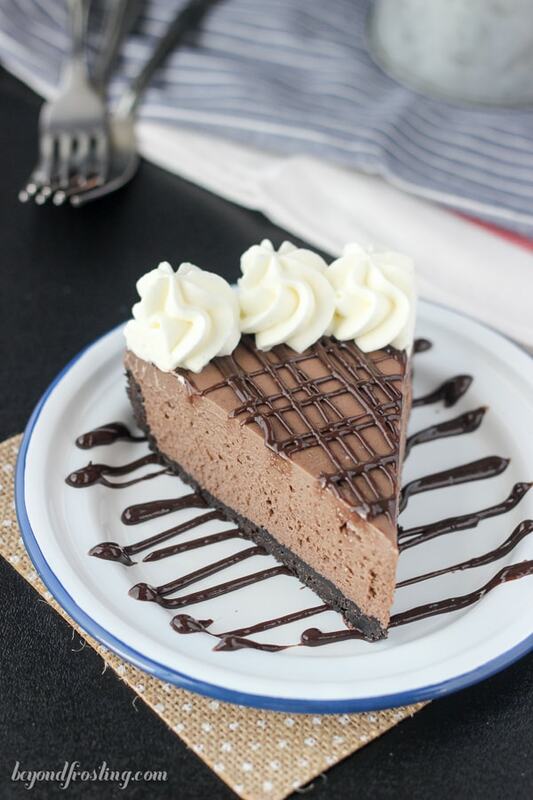 Put your sweatpants on because after the first bite of this Brownie Batter Cheesecake, you won’t be able to stop eating this! 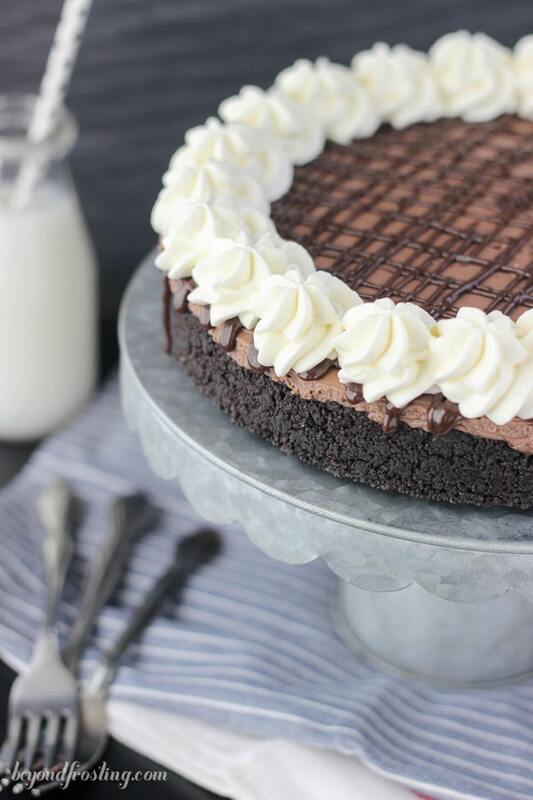 This is a dense Oreo crust filled with a no-bake chocolate cheesecake made with brownie mix and topped with a brownie batter glaze. I am sharing this recipe with you today because it’s from my very first cookbook, No-Bake Treats, which was just released last week. I’m here today to share all the details with you and to share one of my favorite recipes from the book! 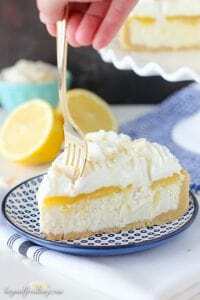 My cookbook is 80 no-bake dessert recipes ranging from cheesecake to icebox cakes, pies and tarts, parfaits and more! Every recipe is made with mostly homemade ingredients like pudding and real whipped cream. Each recipe also has a color photo so you know exactly what you’re getting. Perhaps the best part of all is that the ingredients are relatively simple. I don’t know about you, but it’s about 100 degrees today in LA and there is NO WAY I am turning on my oven to bake! Thank goodness you don’t have to. It’s a little bittersweet for me to be sharing this recipe with you. My dear friend Joan messaged me on a Sunday to tell me she had just put my Brownie Batter Cheesecake in the refrigerator and that she couldn’t wait to slice into it. That was the last time I spoke to Joan because she passed away just a few days later. I always hoped Joan has a chance to enjoy this cheesecake and to share it with her children. Joan was so supportive of me and the fact that I was writing a cookbook. She eagerly volunteered to test recipes for me. Of course I chose one of the most chocolaty recipes in my book for her. So I am so happy to be sharing this recipe with you today because I know you guys love chocolate just as much as Joan did. 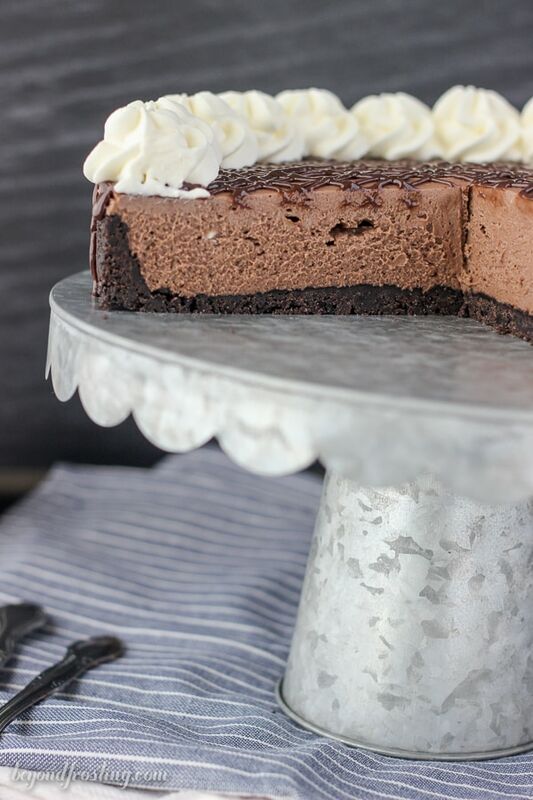 When I thought about including a Brownie Batter Cheesecake in my book, I knew I have seen plenty of baked brownie cheesecakes, but not necessarily a no-bake one. I tested several different recipes until I found the right combination. This cheesecake starts with a simple Oreo crust. If you’ve never made a crust before, I insist that you try it! I even shared a video about how to make a crust in a springform pan to help you out! 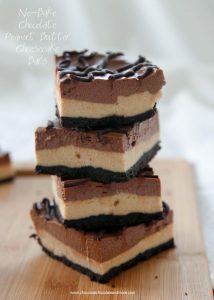 The filling is made with cream cheese and dry brownie mix from a box. You can use any type of brownie mix, but I would suggest picking one that doesn’t include any chunks of chocolate chips. The addition of the brownie mix in the cheesecake wasn’t quite enough brownie BATTER flavor. So I created a brownie batter glaze to go on top. You guys, if you ever want to make brownie batter without eggs, I could eat this by the spoonful. The simple glaze is dry brownie mix, vegetable oil and heavy cream. I used this to drizzle over top of the cake. You want the glaze to be thick like batter but easy enough to drizzle. The recipe calls for 4 tablespoons of heavy cream, but I add them only 1 tablespoon at a time until it is as thin as I need it to be. I should tell you that you should only made this cheesecake if you are a true chocolate fan, because this means we can be friends and make this cheesecake over and oven again. 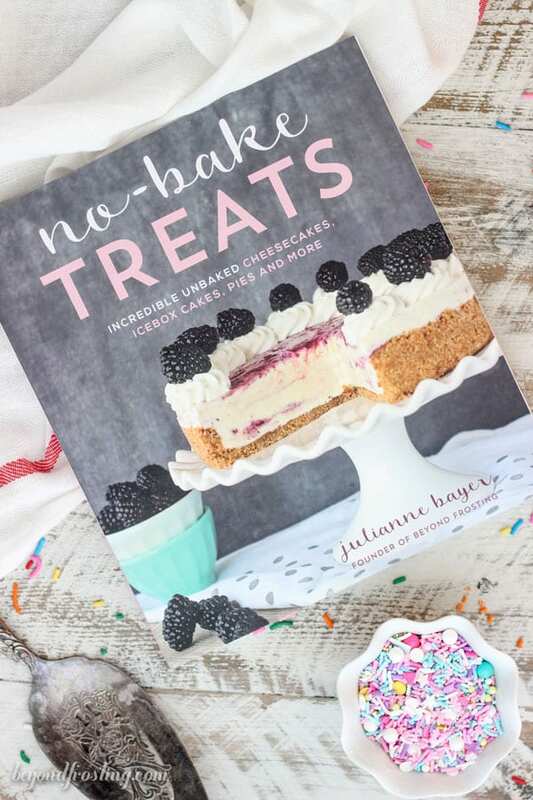 And if you love no-bake recipes, I would love for you to check out my cookbook. Before measuring, grind the cookies into fine crumbs using a food processor or blender. In a microwave-safe bowl, microwave the butter for 45 to 60 seconds until the butter is melted. In a separate medium-size bowl, pour the melted butter into the cookie crumbs and stir until there are no dry crumbs left. For the topping: Place the mixing bowl and whisk attachment in the freezer for 5 to 10 minutes to chill. Slowly add the powdered sugar and continue beating on high speed until stiff peaks form. 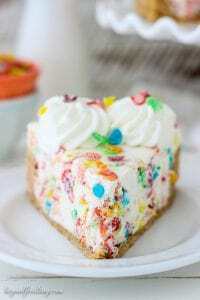 Remove the springform pan edge and use a large star tip to pipe the whipped cream on the outside edges of the cheesecake. 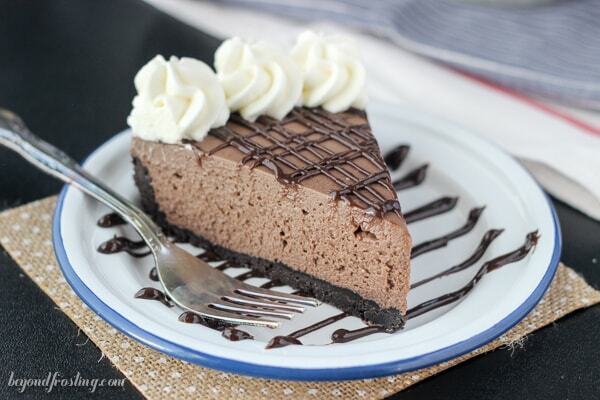 Wow, this looks yummy. And quick to make, 2x the goodness.